Save money on Bathroom Panels, Shower Kits, Kitchen Panels and more with 10% off our entire range in January. 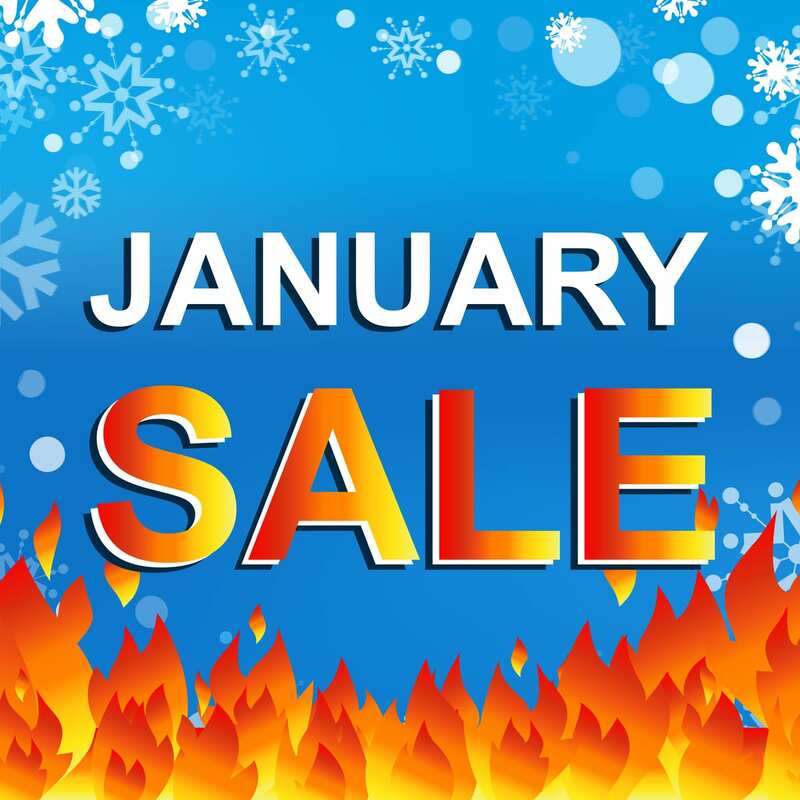 Simply enter the code JAN10 at checkout for your 10% discount. Don’t forget, you can also spread the cost over 4 months with our buy now, pay later option. Local authorities and housing associations manage thousands of properties across their respective towns and cities. And at times, it can feel like an impossible balancing act. Managing rent payments and finding homes for people is paired with the task of keeping all properties in a good condition, with continuing repairs and refurbishments. Fortunately, hygienic wall cladding can make that impossible balancing act a bit more realistic. Read on as we discuss the benefits for local authorities. As a housing association or local authority, your first concern is hygiene and safety. This is paramount in rooms like the kitchen and bathroom, which need to be completely fit for purpose. Hygienic wall cladding is ideal for kitchen splashbacks, which show up clearly on its surface, as well as being completely waterproof for any bathroom spillages. Since 2010-11, local authorities have seen their budgets cut by nearly 50%. This has made it all the more difficult to keep homes in a good state – not to mention things like social care which are also on the plate of local authorities. Wall cladding is a cost-effective alternative to tiling, giving councils a bit more financial breathing space. While the cost of individual tiles may seem insignificant, it can soon stack up when you’re tasked with covering a whole bathroom or kitchen wall. Instead, hygienic wall cladding comes in larger panels, reducing the cost of the job at hand. Bathroom and kitchen tiling can easily become damaged, with the odd tile cracking or falling away – or even grouting cracking in places. The result? Local authorities have to send someone out to fix things, adding to their to-do list and costing them more money. With wall panels, this isn’t the case. Made from PVC, they’re hard wearing and durable for the most testing environments. With larger panels there’s no chance of small parts breaking away or becoming damaged, so you don’t have to worry about any small recurring repairs. Even better, they’re easy to install so, should anything every need replacing, you don’t need to fork out for specialist installation to remedy the problem. The next issue on your check-list is maintenance. As well as repairs from damage, local authorities occasionally need to replace and refurbish where homes haven’t been kept in a good condition by tenants. Bathrooms and kitchens are problem areas, which often need work because tenants haven’t kept up with maintenance. PVC wall panels require minimal maintenance to keep them working well and looking great. Unlike some wall coverings, they’re easy to clean, with any stains or spillages showing up clearly. In the long run, you’re less likely to find them in a poor state, with less need for repairs or replacement. Igloo Surfaces offers a range of bathroom wall panels and kitchen wall panels for local authorities and housing associations. With free samples on request and a 10 to 20-year guarantee on our products, you can buy with confidence. We even offer a specialist service for commercial customers to make sure everything goes smoothly throughout design and fitting. To find out more about how PVC wall panels can benefit you, feel free to get in touch with Igloo Surfaces today. Care homes need to be accommodating, secure and hygienic. And bathrooms are no exception, especially when it comes to hygiene. But how can care home managers and staff make sure bathrooms are kept fully hygienic at all times? Read on as we discuss bathroom cleanliness in care homes and how you can keep standards high. Keeping care home bathrooms clean isn’t just a matter of pleasing residents. It’s part of the minimum standards set by the National Care Standard Commission. These are the standards used to determine whether care homes meet the needs of the people who live there. Essentially, it’s a way to measure whether your care home is up to scratch. Among the standards are en-suite facilities for all users in new build, extensions or first-time registrations. They also outline the need for assisted baths or showers and accessible toilets within close proximity of accommodation, lounge and dining facilities. But, most importantly in terms of hygiene, they require that “premises are kept clean, hygienic and free from offensive odours throughout and systems are in place to control the spread of infection”. As well as providing a pleasant environment, this kind of cleaning is essential because elderly residents typically suffer from a decline in immune function. It’s one of the most recognised symptoms of ageing. In short, older individuals’ immune systems don’t respond as efficiently to infections. Before it comes to cleaning bathrooms, care home managers should consider the environment of the bathroom itself. Surfaces containing wood or other porous materials, on the walls, floors or even ceilings, can absorb fluids and make infections more likely to spread. Not only that, but they’re much harder to clean. Over time, these porous materials can also prove to have poor durability as the moisture weakens their structure. To make cleaning easier and more hygienic, it’s important to have surfaces durable, waterproof and easy to clean. At Igloo, we provide the perfect solution for care home bathrooms with PVC ceiling panels, wall panels and floor panels. Our products tick all the boxes for hygiene, durability and maintenance as well as being quick and easy to fit. And with a range of styles available, you can pair all of this with a stylish design. Want to give your bathroom that luxury appeal? Marble is a great choice. It’s timeless, sophisticated and natural in appearance. Unfortunately, the cost of marble puts it out of reach for most homeowners. However, that doesn’t mean you can’t have the marble look. Keep reading to see how you can get a stunning marble look without breaking the bank. Marble bathrooms – what’s all the fuss about? Marble is one of the most beautiful stones available. It’s made up of recrystallised minerals, giving it a natural swirling, mosaic pattern. And this beauty was recognised as far back as ancient Greek and Roman times. Over 2,000 years ago, people used marble on prestigious structures as well as decorative tile floors. It’s no wonder that people want to emulate this classic style in their homes. Marble is commonly used for kitchen counters and tiling for floors and walls in kitchens, bathrooms and beyond. 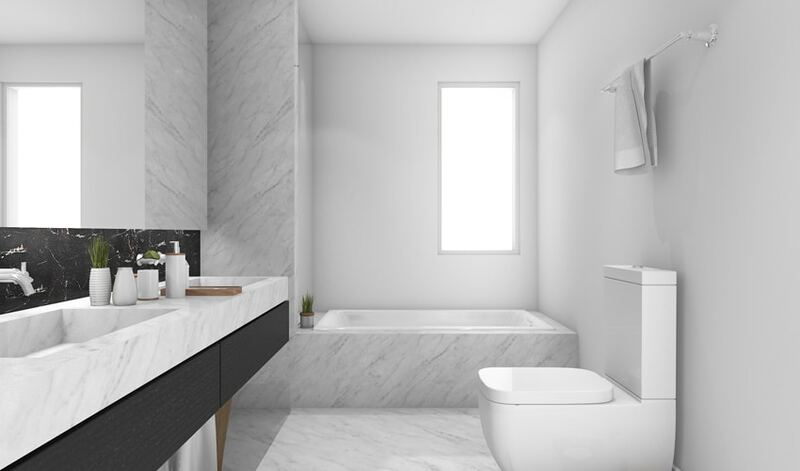 Unfortunately, because of its prestigious reputation – along with the difficult extraction and production process – marble is far from an affordable bathroom material. Covering the walls and ceilings alone can cost thousands. The good news is: it’s possible to get the all the benefits of marble without any drawbacks. How? With PVC wall and ceiling panels. PVC is hard-wearing, easy to install and 100% waterproof. It’s hygienic and easy to clean. Even better, it can be produced in a vast array of styles. Marble-look PVC wall and ceiling panels from Igloo Surfaces provide homeowners with a luxury marble look, minus all the cost and hassle. Our high-performance panels have been purpose-designed for tough environments like bathrooms and kitchens. They won’t be stained or easily damaged and come with a 10-year guarantee. Best of all, PVC marble-look wall and ceiling panels are available at a fraction of the cost of real marble. Homeowners can get the stunning appearance of marble without the breathtaking cost. Igloo’s state-of-the-art ceiling and wall panels are a modern, cost-effective and high-functioning option for bathroom surfaces. But don’t just take our word for it. With Igloo, you can order free samples with ease, to make sure you’re getting the exact style and quality you want and need.